Last night, I had the pleasure of meeting, interviewing and sharing a meal with Serena Palumbo at Keste Pizzeria & Vino (271 Bleecker Street) in West Village, NYC. 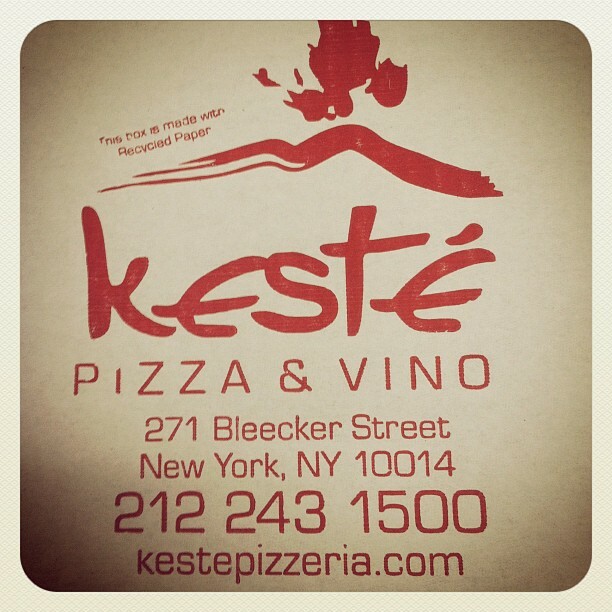 Keste is one of her favorite pizzerias in NYC and specializes in serving Authentic Neopolitan pizza. Not only is she an attorney but she also has a food blog with webisodes called Cooking in Manhattan and was also a finalist of Season 6 of Food Network Star. 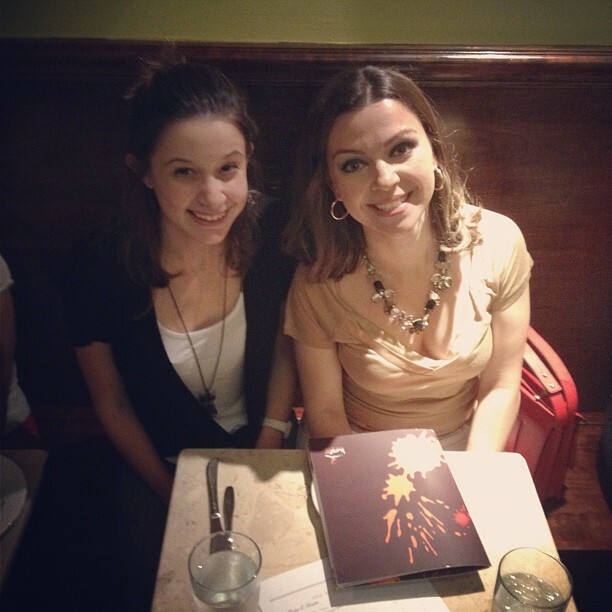 Serena and I after enjoying our meal at Keste Pizzeria in West Village! 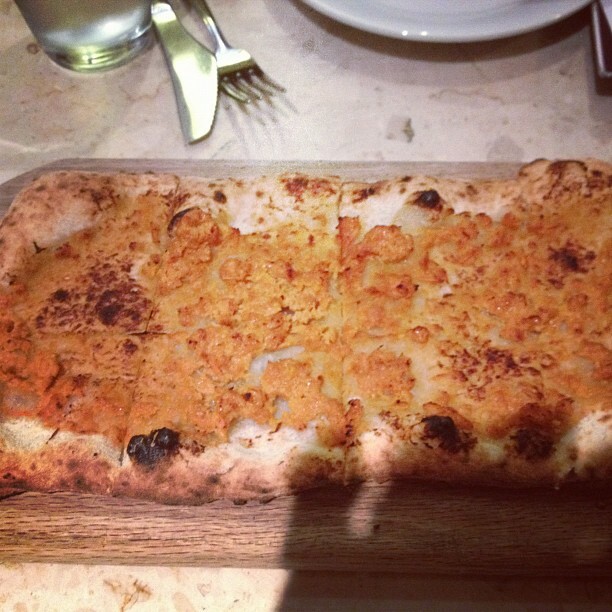 SCBD: First, you grew up in Italy, what did you pick up from cooking in Italy? 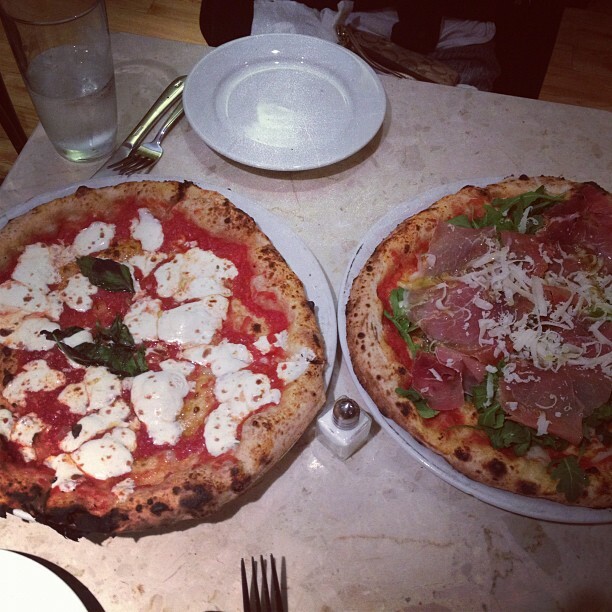 What’s your favorite Italian dish? SP: It’s a pleasure to meet you and do this interview for your blog Small Chick Big Deals. 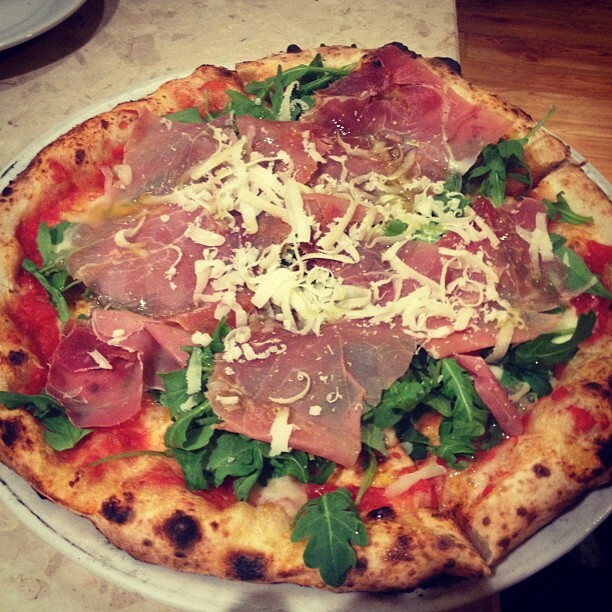 Italians are usually very passionate about food because it is a very strong part of our culture. I see the same applies to the great Italian American community in the US. 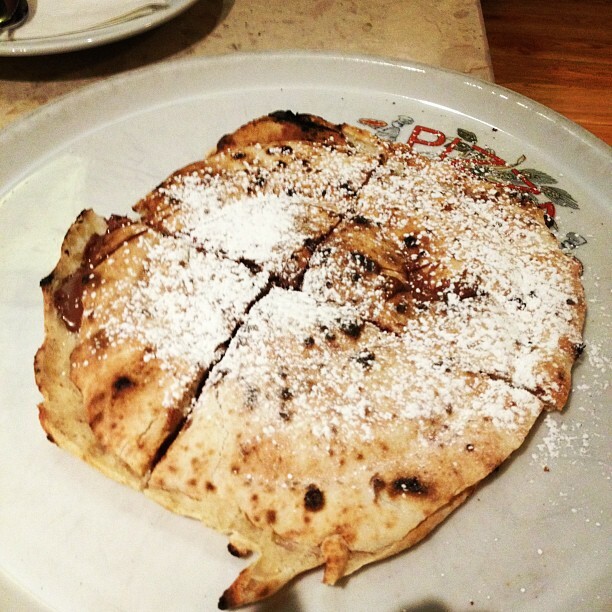 It is amazing to see how they have kept their identity as Italians through food and have created a real melting pot of flavors implementing the American traditions as well. 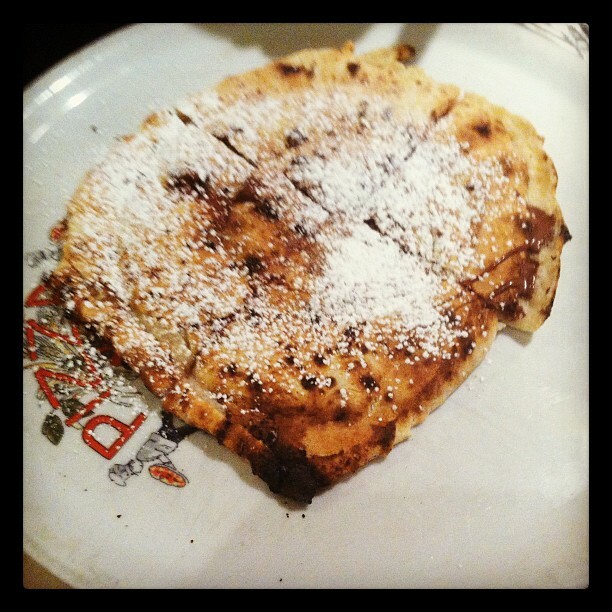 I learned everything about Italian food from my family and friends growing up in Salerno. But besides the recipes and techniques what I brought with me from Italy when I moved to New York was the concept that your food defines who you are. The dishes that we tasted in our childhood, are the first step to people’s culinary knowledge and flavor pattern so they are also near and dear to our heart. 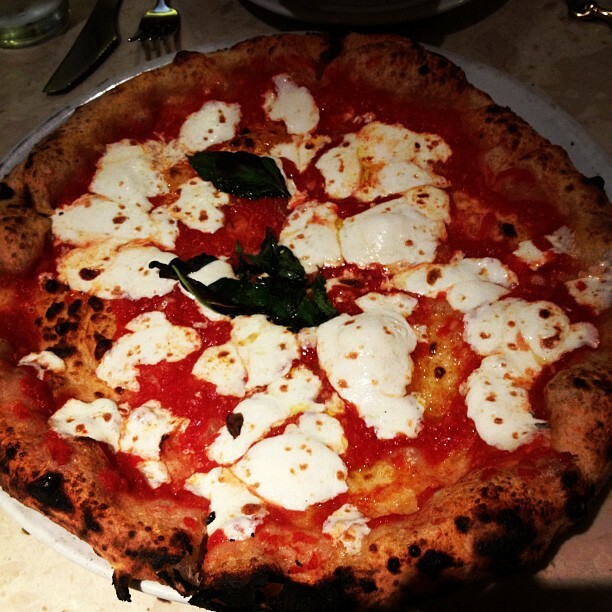 In my case, since I am from Campania, I usually crave Neapolitan pizza. And because of the time I spent in Rome, working as an attorney at the beginning of my career, I love Carbonara and Amatriciana. SCBD: I saw that you went to school in Italy for a law degree, how was it going to school in Italy? Do you have any early memories of food playing a part in your life during that time? SP: The school system in Italy is very different from the US! My father was a doctor and he would have loved for me to go to Medical School. I took the tests and I got in but I am not very fond of blood so I had a frank conversation with him and I told him I was going to Law School instead. He told me I could do whatever I wanted as long as I did not disappoint him. So Law School it was! I wanted to be a journalist when I was a kid but then I learned that lots of journalists in Italy had a Law Degree so the choice was easy. My fondest memories from school are the birthday parties! My mom is really awesome because she always finds a reason to celebrate and invite people over. So when my birthday or name’s day approached she would plan great parties. My mom is kind of fearless when it comes to cooking for people, so she would tell me to invite my classmates and other friends and we would discuss menus and cook together. It was SO EXCITING! My friends LOVED coming to our parties because my mom would serve grown up food, not just pizza and cake. 3. I saw that you were a former ballerina. I used to dance as well. How did that shape your life? Did it get you ready for the camera? SP: Determination, dedication, and commitment. Those were the values I learned from ballet. I had a great ballet teacher and have very fond memories of my ballet years and thanks to Facebook I am in contact with all my ballet classmates. They are great girls (and boys) and some of them became professional dancers while others moved to a different career path. The common denominator is that we are all very focused and have a fire in our belly. Ballet played a great role in my childhood and teenage. I took classes for 14 years and graduated at 19 years old. Today I realize that ballet made me camera ready too. I am not afraid of talking in public, doing a culinary demonstration or talking into a camera because falling from a pirouette or an arabesque in from of the whole theater is a lot more embarrassing! 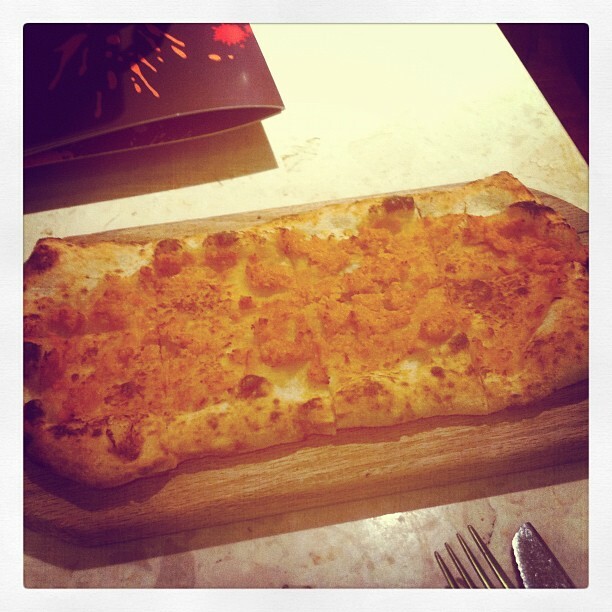 SCBD: Your specialty is Mediterranean cuisine, what is a signature dish of yours you recommend an amateur like me try? SP: Mediterranean food is the best! But I might be a slightly bit biased. I think Mediterranean food is the healthiest choice you have, because of its simple ingredients and that the techniques are not overly complicated. Food should be food, not a product that goes through an industrial process. Mediterranean recipes let the ingredients shine and they are also easy on the waistline and the wallet. I really resent the recipes that call for 15 different spices and exotic ingredients. The great thing about Mediterranean food is that it is accessible easy and fresh, so anyone can whip it together very quickly. You should try my Salmon Cartoccio with Pear Arugula Salad. It is super easy and you can’t beat the fast clean up! It is perfect for a small kitchen and people who don’t have time for complex preparations. Check out the video to both recipes here. SCBD: Before you applied to Food Network Star, you started your blog Cooking in Manhattan, did you expect for it to take you this far? Do you recommend video blogging? I’m just about to start doing it and it’s a big step for me. SP: The webisodes started as a joke. I had a friend who could not cook and she wanted to learn. We were both very busy and so one day Kurt, my husband, decided to make a video of me cooking. I posted it on youtube and soon thereafter it got 320 views… not bad for a newbie! Cooking in Manhattan is a big part of my life now. I never imagined that posting my recipes on the internet could give me so much joy. It is the interactive aspect that I like the most: people commenting on the recipes and asking questions. The webisodes are still a homemade production so I have control over every aspect of them. I think you should definitely consider video blogging but you should have one specific topic for every segment. As for cooking videos you need to limit your message to something that the viewer will follow from the beginning to the end. I try to limit the length of my videos so that I won’t lose the viewer in the process. SCBD: Did having your blog help you in regards to reaching your audience on the show? SP: It helped me introduce myself to the audience because they could see my videos, but once I joined Twitter and Facebook and became more active in social media I was able to really reach my audience. In retrospect, I would’ve joined Twitter during the taping of the show but at the time I didn’t believe it reach could be as big if not bigger than Facebook. I love speaking to my fans on Twitter now. SCBD: I saw you cover more than cooking on your blog, such as travel & lifestyle. What’s the best thing you ate on your travels? SP: The website has taken a life of its own in the past few years. I started with food but then readers started asking for suggestions on where to go on vacation or where to eat while in Milan Rome or Naples. The lifestyle part comes from the fact that (like many Italian women) I am an absolute beauty junkie. You need a new mascara? Dry Shampoo? Scrub? I have probably tried everything on the market by now. I am also very lucky because I have friends from all over the world and they have been extremely generous to contribute articles for the website. We now cover Brazil, Peru’, India, UK and of course Italy with CityProfiles and there are many more to come! I would have to say that the best meal I ever had outside of the US is in Sicily at La Madia, a small restaurant owned by one of the most creative chefs, Pino Cuttaia. I still remember the 7-course menu I had 3 years ago, and I usually don’t remember what I ate last week so that tells you how great it was. I had great food in Ecuador too! We visited some friends this winter (it’s summer there) and they roasted a pig on Sunday. It was the best porchetta I have ever had! SCBD: How and why did you get into Food Network Star? SP: I decided to audition for Food Network Star because a couple of friends/readers told me I should give it a try. The point is that I love my webisodes and I put a lot of time and effort in them. My friends and family have been very supportive because not only they get the tips and tricks of cooking in a small kitchen they also get to try the food! So I went to an audition and there were probably 3000 people so I did not think I would get to be on the show at all. When my time came I went into the audition room and I presented myself and my cooking webisodes. The lady I interviewed with liked the idea of cooking in the confined of a urban kitchen and she gave me a call back for a screen test. After that, much to my surprise I was invited to be on the show! In Season 6 I was the only finalist without a culinary education, and still many people who had a culinary pedigree were eliminated before me. I am very proud of how I did during the show. The challenges are very complex because there are time constraints as well as the pressure to perform and cook edible food for people that might become your new employed. Still, I had no reputation to tarnish as I was and still am an attorney… the worst case scenario was that someone would sue me because I poisoned them, right? Well I did not poison anyone thankfully most importantly I went into every challenge with the purpose of having fun and testing my limits. SCBD: How did it change your life? SP: Well first of all now I can put food network star alumna next to the NYU law alumna badge. That is quite an accomplishment in my book! I am still the same person I was before, I just know a lot more about myself. The Food Network Star is more than a competition to win a job. It is a real test of your abilities that spans from the cooking abilities to testing your work under pressure. I am used to pressure because of my daily job but no one (including myself) thought that I could endure the physical effort that is required of you on the show. You wake up at 5AM and go to bed at midnight so it is a real test of how resilient you are. The show also changed the way I think of my website and webisodes: I learned that you need to listen to your readers and viewers and cater to their needs first and foremost. So for example if you have a viewer with food allergies you need to provide solutions for that viewer so that he/she can enjoy the recipe as well with few tweaks. I don’t come from a marketing background but I believe that listening to your readers and viewers is the best way to build a solid following. Content is king on the internet and if you deliver useful content to your viewers and readers, that is the best marketing you can possible engage in. SCBD: What was one of the hardest competitions you did on the show? SP: During my season there were some very difficult challenges. The producers really upped the ante on what they wanted to see from the finalists. There was a competition for a party in episode three that was really tough for me since I got injured and the finalist I was paired with was a very difficult character. In the end we did not win the challenge and I kind of ended up at the hospital fearing I had broken my foot…. But at least we weren’t eliminated! SCBD: What was your favorite competition, why? SP: There were some pretty awesome competitions and I loved cooking during most of the show. It was just so much fun for me to be away from my desk job and following my passion for once. My favorite competition was in episode five when Brianna and I were paired to work in a lunch truck. We have both very strong very assertive women and initially Brianna and I did not see eye to eye, but not only did we work together very well, we won the episode challenge! It was a real underdog story but we surely demonstrated some girl power that day! SCBD: Last, I saw on your profile on Food Network that you are only in your early 30’s and have accomplished so much. Where do you see yourself 10 years from now? SP: You know it is really funny that you ask because some days I feel ancient and some others I feel like an “absolute beginner”. One of my best friends tells me that I always look like I have a plan and that I know exactly what I am doing. That is not always the case. I try to use my strengths and downplay my weaknesses but I don’t really have a life plan. You know that part of your childhood when you plan at what age you get married, buy a house and have children? I skipped that part altogether, I try not to make plans especially the long term ones. Making plans for me is like setting yourself up for failure and disappointment. No matter how much you plan, life always throws you a curve ball and you have to be ready to make the best of it. If you plan too much and you are too focused on your life plan you don’t see the opportunities around you. They may not be what you planned but they may be great nonetheless. There is nothing worse than a wasted opportunity especially for a self made girl. So in 10 years we will have to get together again and I will tell you what happened, but in the meantime I will keep my eyes and ears open! Thank you again for doing this interview with me Serena, it was pleasure to meet you, another woman making her mark in the food industry! It was truly a blessing to share a meal with Serena at one of her favorite and Authentic Neopolitan pizzerias, Keste! Grazi! Until my next post…. Happy Eating & Drinking! This entry was posted in Chef, cooking, exclusive, foodie, Interview, nyc, recipes, Serena Palumbo, Small Chick Big Deals and tagged cooking, Food Network Star, inspiration, life, recipes, scbd, Serena Palumbo, simple by smallchickbigdeals. Bookmark the permalink.